Recently we caught up with a young magician, who’s making waves on the scene, he goes by the name, “The Magic Mod”, and he’s coming to a TV near you. Thanks for coming down to see us. So what was the trigger in getting you into magic, who was your inspiration? It would have to be Paul Daniels. I was 6 years old when my parents got me his magic set and I was hooked from the off. It came with a cassette, it was before the days of DVDs and BluRay, and I remember studying it then putting on little shows for my family. Then obviously magic changed and I was a big fan of David Blaine’s work. But without Paul Daniels I would'nt be doing what I'm doing now. He was like what Weller is to the Mods, he’s the “Magic Father” so to speak, ha ha. We hear you’re a big Fulham fan. Who’s your favourite Fulham player? In the past I think I'd have said Luis Boa Morte or maybe Sean Davis, at the minute, I think I’d have to go with Steve Sidwell. I’m fortunate enough to have been invited in to perform for the players, a lot of people have the idea that footballers are arrogant or whatever, but I’ve always found them to be really decent down to earth guys. What's the most memorable game you’ve been to? It’s got to be Juventus, the Europa league semi-final. We went 3-1 down in the first leg, the second leg was at Craven Cottage and we beat them 4-1 and got into the final. The Cottage was rocking that night, what a game that was. 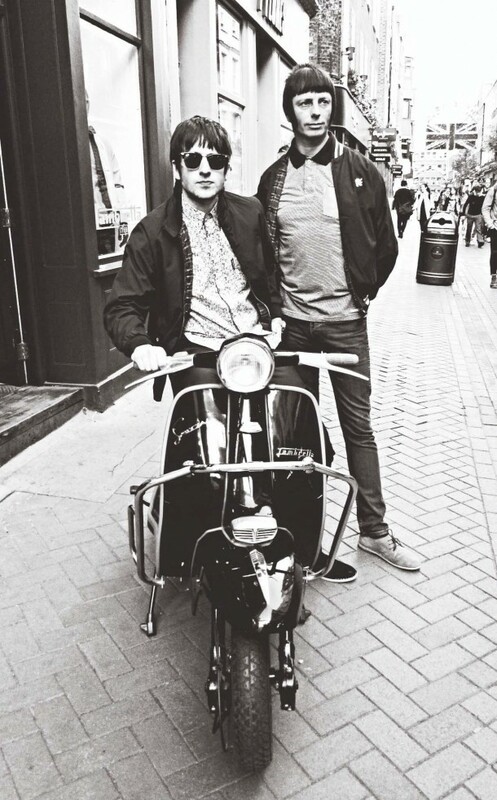 Moving away from football now it’s no secret that you’re a Mod and like that style of music in particular. Could you pick your top 5 groups? That’s tough, we could sit here for hours. I love The Supremes, my mum had them on vinyl when I was a kid, and I’d put it on all the time. Small Faces, they were really influential weren’t they, The Jam of course, The Who, I love The Stone Roses, and Oasis, everyone loves Oasis don’t they? If I had to leave it there I’d go with them. If you could sit down at a table and perform for anyone who would it be? Music-wise I think I’d go for Marvin Gaye. I love his music, the messages he was putting out there through his music, and I’ve read books on his life story, he’d have some stories to tell wouldn't he? Magic-wise I’d go with Tommy Cooper, for his humour, and I think I could teach him a few good tricks, ha. Yeah that’d be a good day that would. Thanks very much for your time, really enjoyed today. Why dont you leave us with what you’ve got lined up next? I’m excited about my next gig, the Fulham legends v Celebrity All star game Sat 17th May. The likes of Joe Calzaghe and Matt Di Angelo are on the celeb side and some stars on the Fulham side, like Saha, Bouba Diop, Sean Davis. So I feel privileged to be able to perform for them.